At Noir Naturals we believe in supporting the community, especially when it comes to the young community members. Like others, we have purchased more wrapping paper, calendars, popcorn, and cookies we could ever need just so we could help young friends and family members raise funds for their schools, church youth groups, sports teams, and school clubs. We were approached by teachers and parents who sought an alternative to the usual that would have mass appeal, be affordable, easy, earth-friendly, and profitable. 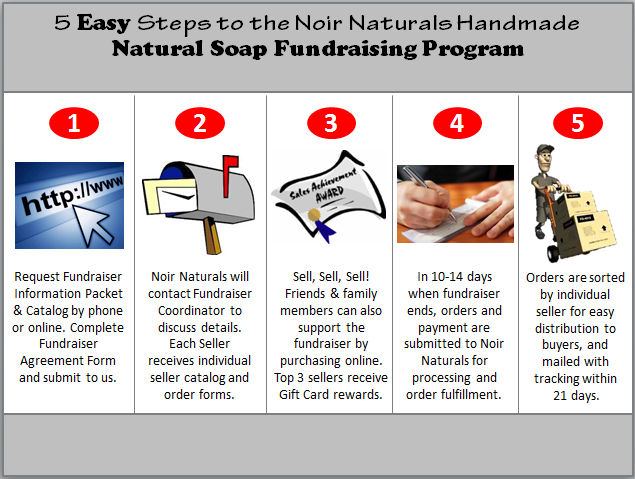 After collaboration with local students, teachers, parents, PTO Today, and The Association of Fundraising Distributors and Suppliers (AFRDS), we created the Noir Naturals Fundraiser Program. Not only do we make fundraising profitable, we make it easy for students and parents. We offer useful products found in every home and at just $5-6 a bar, our soaps are affordable and appeal to a wide range of customers. Your youth organization could earn up to 50% profit with our program and sell to supporters in and out of town. 1. We only work with one school, club, organization or group at a time, so we can dedicate all of our resources to each fundraiser. 2. We are a small company and manufacture our soaps. There is no middle man, and we are easy to reach by phone and email. 3. Our handmade soaps are made with natural ingredients, so they’re better for the skin. They contain no chemicals, preservatives, artificial dyes or pigments. Our soaps are eco-friendly, and something that everyone uses! 4. We have a wide variety of soaps to choose from. 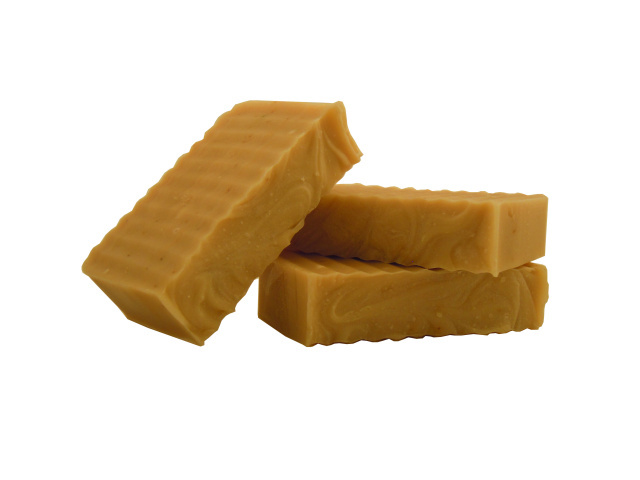 We use essential oils, sulfate-free fragrances and even have fragrance free bars. We have something for everyone, even the family dog. 5. Each bar of soap will be individually wrapped and labeled with the soap’s scent. Each order from each seller will be packaged separately to allow for easy distribution to buyers. 6. Your organization can earn up to 50% profit with our four-level profit structure. The more you sell, the more you earn. And free shipping for all orders! Our fundraising program is free to start. Contact us today for more information. 7. Top Seller Reward Program – Noir Naturals rewards the top 3 sellers in each fundraisingprogram with gift cards from Wal-Mart, Best Buy or Amazon. The 1st place seller will earn a$100 gift card, 2nd place a $50 gift card, and 3rd place a $25 gift card. 8. Promotional tools – Each seller will receive a seller packer which contains a color catalog, samples of each soap, and fundraising safety tip information. 9. Online ordering – We made it easy for friends and family members to support fundraiser sellers who may not be in the immediate reach of the school, club, organization or group conducting the fundraiser. Each fundraising organization will have a separate page on our website where purchases can be made. Online purchases count toward the total sales of each seller for the top seller rewards. Check out Haley’s fundraiser to see how yours could look. 10. Giving Back – We give back to the community by supporting local non-profit organizations. A portion of the proceeds from the sale of our best seller Asta Doggie Soap will be donated to the Louisiana SPCA organization in New Orleans, LA. 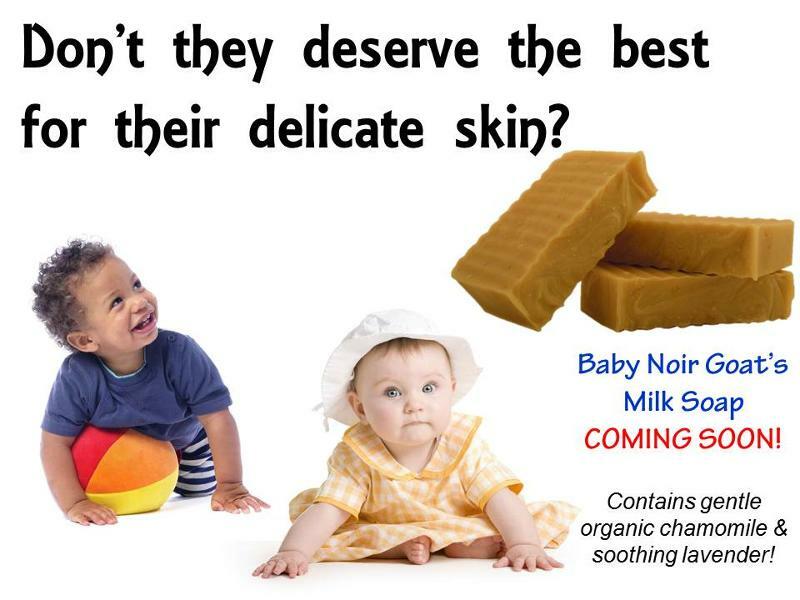 A portion of the proceeds from the sale of our Baby Noir Soap will be donated to the Be An Angel children’s organization in Houston, TX. 11. Referral Bonus – $100 Noir Naturals Gift Certificates are awarded to individuals who refer organizations or groups that use our fundraising program. Contact us today for more information on our program. How will you celebrate Earth Day? We’re celebrating with a Green Teacher Contest! We are excited and proud to announce the Noir Naturals 2012 Green Teacher Award. Earth Day falls on April 22, but we celebrate every day. We believe we need to do our part to recycle, reduce, reuse, and conserve the earth’s limited resources. It is important to us and the future of our planet. Giving back to the community is important to us, and that includes the local and global community. We want to celebrate the Earth and teachers who help their students and community by leading the charge with eco-friendly, green projects and initiatives. 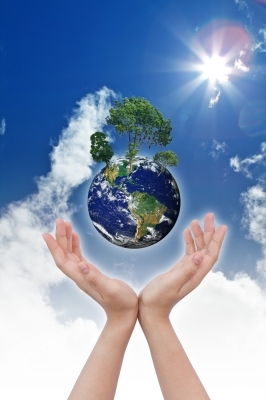 Celebrate Earth Day with us by nominating your teachers for the 2012 Green Teacher Award. Share about your favorite teachers who encourage their students and community. The winning teacher and the one submitting the entry both win! The teacher will receive the award and $100 gift certificate. If your teacher wins, you’ll receive a $25 gift certificate. Teachers working within the continental US are eligible and submissions are due by April 30. The winner will be notified in early May. Learn more and submit your entry today. We recently became a Green America Silver Certified Business and are working toward Gold. To learn more about Noir Naturals and our Green America Silver Certification, visit us at NoirNaturals.com.